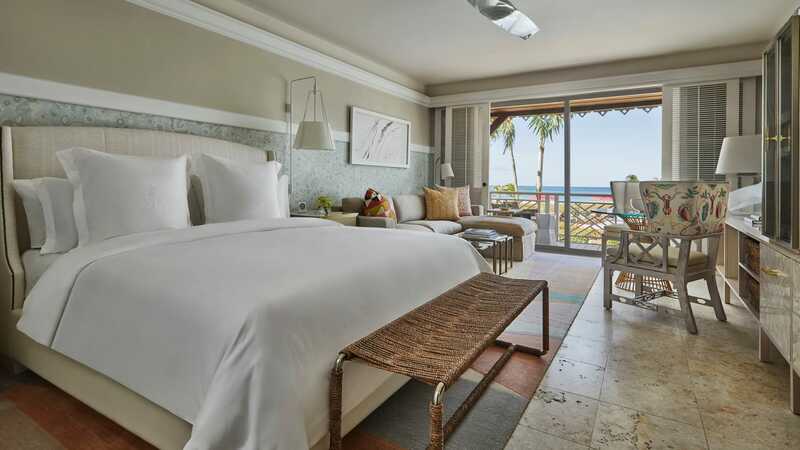 Room renovations at the Four Seasons Nevis are complete and the new lobby, pool, and restaurants are set to be completed by December 10, 2018. We’ve got our eye on this resort for Spring Break this year! Designed by Todd-Avery Lenahan of TAL Design Studios, the rooms are looking fresh with a touch of playfulness, a perfect accompaniment to the breezy tropical island of Nevis. We’re loving the monkey-themed upholstery! Our favorite Four Seasons rooms are currently at the Four Seasons Lanai, but it looks like Nevis will be in the running now! There’s no need to wait to see this resort; the hotel is open and welcoming guests now and, as Forbes magazine has reminded us, Nevis can be a great summer destination! Pack your swimsuit and get ready to head to Nevis for the famous arrival experience and un-matched service the Four Seasons has made so famous! Our clients enjoy generous Preferred Partner amenities, as well. Let us know if you’re interested and we’ll be happy to tell you more! This entry was posted in Beaches and tagged Caribbean, Four Seasons, Nevis. Bookmark the permalink.